The book describes a history of the vortex theory. Introduced at the dawn of science almost 2600 years ago, it had passed through five phases of accumulation of its strength by absorbing the discoveries made during the Greek civilization, the Copernicus Revolution, the age of electromagnetism, the atomic age, and the information age. 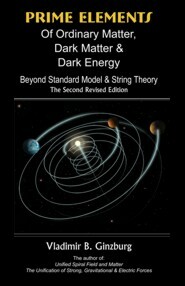 During the first four phases (see Chapters 1 through 12 of this book), the development of the vortex theory followed the same misfortunate pattern. Each time, this theory managed to bring attention of a new generation of brilliant scientists, who were enchanted by a deep physical meaning of its basic concept. But, although they employed the latest advances in science, none of them was able to produce a mathematical tool making the vortex theory practically usable. The fifth phase began in 1993 with the discovery of a unique spacetime spiral element, called the toryx. The toryx is a particular case of a multiple-level dynamic spiral with a poetic name helicola that describes the paths of all moving celestial bodies in our universe. The ability of the toryx to be turned inside out made it perfect for modeling the polarized prime elements of matter. A close offspring of the toryx called the helyx turned out to be ideal for modeling the polarized prime elements of the radiation particles. This discovery led to the development of a new version of the vortex theory called Three-Dimensional Spiral String Theory (3D-SST) outlined in Chapters 13 through 16.